Relying on their key value of “professionalism in jandals”, Lactic Turkey Events presents a series of events that are achievable, approachable, not overly—competitive (unless you want it to be), affordable and fun for all levels of fitness and experience. Fun, achievable, adventurous off-road runs – capturing the adventurer in all of us! We’re stoked to have Bivouac as our title sponsor! Bivouac Outdoor provides premium clothing and equipment from the world’s best brands for camping, climbing, cycling, fitness, hiking, snow sports and travel. We enable our customers to have a lifetime of safe, comfortable and inspiring outdoor adventures New Zealand and overseas. We are passionate about the outdoors and committed to promoting environmental stewardship and increasing access to outdoor recreation through volunteerism, athlete sponsorship and financial contributions. Bivouac Outdoor offers many ways to research and buy outdoor products so that our customers can shop where, when and how they prefer. Our team use their experience and passion to allow everyone to make the most of their time. Our customers are the heart of our business, their experience, achievements and joy is what makes us who we are. We help those who are Committed to Adventure. You want gear that makes your outdoor adventure safer, easier and more comfortable (and look good), so we focus on sourcing the best New Zealand and international brand outdoor clothing and gear to give you just that. From first aid and compasses to specialised climbing gear, from headwear to keep your noggin from being burnt or frozen to footwear that will take you anywhere, from short treks to full on hard going journeys and everything in between, we’ve got you covered. And a big thanks to our other sponsors too! A Total Endurance Fuel – All you need, all day. Really! An attractive coastal farm park, Tāpapakanga has a rich Māori and European history and offers an accessible, pōhutukawa edged beach on the western shores of the Firth of Thames. A mix of bush, farm and coastal land. Set on the eastern end of the Peninsula, this park boasts some of our region’s most beautiful white sand beaches, rolling pastures, shingled bays, native coastal forest and regenerating wetlands. 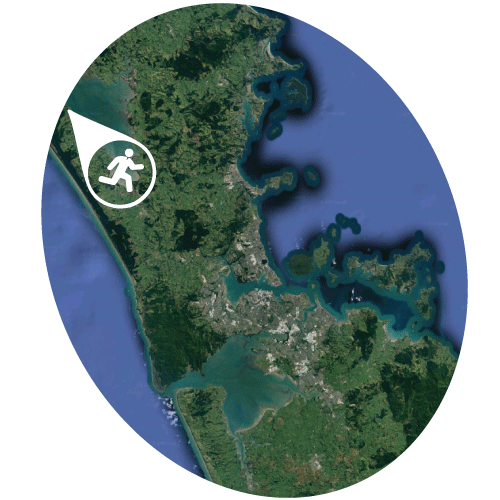 Te Rau Pūriri is a 247 hectare property at South Head on the South Kaipara Peninsula. Te Rau Puriri is unique because it offers access to one of the best beaches on the Kaipara Harbour and the major lake (Lake Ototoa) on the peninsula. 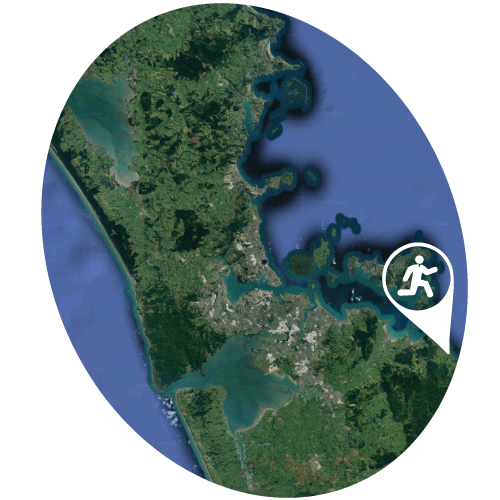 This venue will offer coastal and forestry running. Experience Auckland’s famous black sand of the west coast, spectacular beaches and pine forest planted atop sand dunes. There’s something for everyone in our course options! Why not get really motivated and book in the series of 4 events and secure an amazing discount! Four events for less than the price of three! A chance for the kids (under 14yrs) to have a go and experience the joy of running on trails in the wilderness. Introducing them gently, to enable them the skills and enjoyment levels to want more as they grow into fully fledged trail peeps. 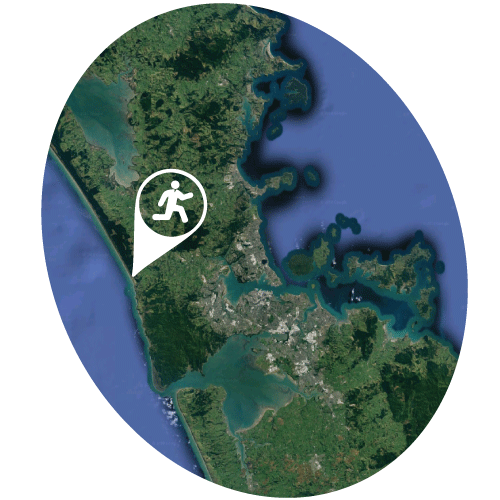 A jaunt through the regional park, perfect for families, new trail runners or those out for a light day. Short and very sweet, leaving you with a smile and a sense of achievement. Delve in deeper to the delight our city of trails has to offer. A quest for those a little more used to getting out and about in the trails. 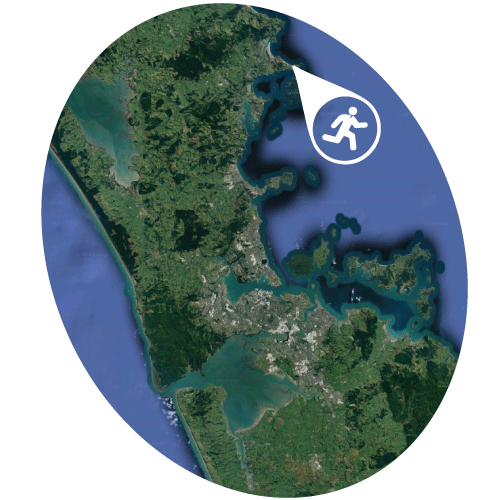 A sensory odyssey taking you through the best of the Auckland outdoors. The mighty Totara of our course choices, guaranteed to send your pride levels soaring. Explore your city of trails! Professionalism in Jandals – fun, well-organised events with a warm, welcoming atmosphere! Family and Friends – a fun day out with your family and/or mates! Adventure – take yourself places you thought you’d never go. Bringing communities together – we’ve helped communities raise more than $200k in recent years.